Since the dawn of time, humankind has realized that there were negative consequences to experiencing overwhelming stressful situations. For example, reactions to wartime trauma have many names: soldier’s heart, shell shock, combat fatigue and, since the Diagnostic and Statistical Manual of Mental Disorders (DSM-III, 1980), Posttraumatic Stress Disorder (PTSD). Service men and women aren’t the only people who can experience overwhelmingly traumatic situations, however, so since June is PTSD Awareness Month, now is a good time to give an update on some of the newer evidence surrounding Posttraumatic Stress reactions, including PTSD. The good news is that, although up to 80 percent of people will experience a significant traumatic event in their lifetime, the likelihood of developing PTSD is actually less than 7 percent in the U.S.
First, let’s talk a bit about some of the statistics surrounding trauma. The good news is that, although up to 80 percent of people will experience a significant traumatic event in their lifetime, the likelihood of developing PTSD is actually less than 7 percent in the U.S. Most people with PTSD are not soldiers; women are affected at a higher rate than men and, not surprisingly, experience more traumatic events that can lead to a higher likelihood of developing PTSD. As our understanding of PTSD evolves, the American Psychiatric Association updates its criteria. The APA’s DSM-5 (2013) includes changes in the diagnostic criteria for Acute Stress Disorder (ASD) and PTSD. One important change was moving ASD and PTSD from the Anxiety Disorder category and placing them in a new category – Trauma- and Stress-Related Disorders. The DSM-5 focuses on the symptoms of PTSD – acknowledging that PTSD is indeed a condition – rather than just a reaction of the individual upon experiencing a stressor. For people living with PTSD symptoms, there is hope. Below are some evidence-based treatments, including psychotherapy and medication. Prolonged Exposure (PE) Therapy: A type of Cognitive Behavioral Therapy that involves habituation of symptoms, which encompasses talking about the trauma repeatedly until the memories are less upsetting or experiencing situations usually avoided to relearn there is no longer any danger present. PE is an extremely effective treatment. Cognitive Behavioral Therapy (with or without EMDR) can also be effective. Eye Movement Desensitization and Reprocessing (EMDR) involves focusing on distractions, such as hand movements while discussing the traumatic event. Virtual Reality therapies are cutting-edge treatments being used in which technology helps the person work through traumatic events. The use of avatars is also being tried to help people deal with daily situations, by learning positive coping strategies. Medications can also be helpful, including SSRI antidepressants such as Zoloft (sertraline) and Paxil (paroxetine). Prazosin (a hypertension medicine) can help with nightmares associated with PTSD. Medications that are not effective and even detrimental include the antianxiety medications called benzodiazepines as they can lead to addiction. 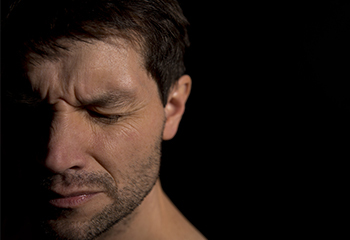 Other strategies investigated to lessen the potential impact of trauma include resiliency-building techniques and “stress inoculation,” both sometimes used prior to combat situations. In summary, many people experience at least one traumatic life event, but only a fraction will develop diagnosable PTSD. Symptoms that fall short of the full diagnosis – Posttraumatic Stress – are also important and real. The good news is that the science is keeping up with PTSD through improved screening, diagnosis and treatments, and of course, a better understanding of the condition itself. EMDR is a distinct treatment that can be administered without CBT. As such, they are two completely different modalities. As an EMDR therapist with advanced training, I know EMDR to be, and have experienced it as, a powerful treatment tool used by therapists that can either stand alone or be used in conjunction with other tools. EMDR is only one of two modalities supported/approved by the VA for its returning military struggling with PTSD. The second – CBT. EMDR deserves its own category/bullet point on this list of evidence based treatments. As it is listed now, the implication is it is a part of CBT when it is not.